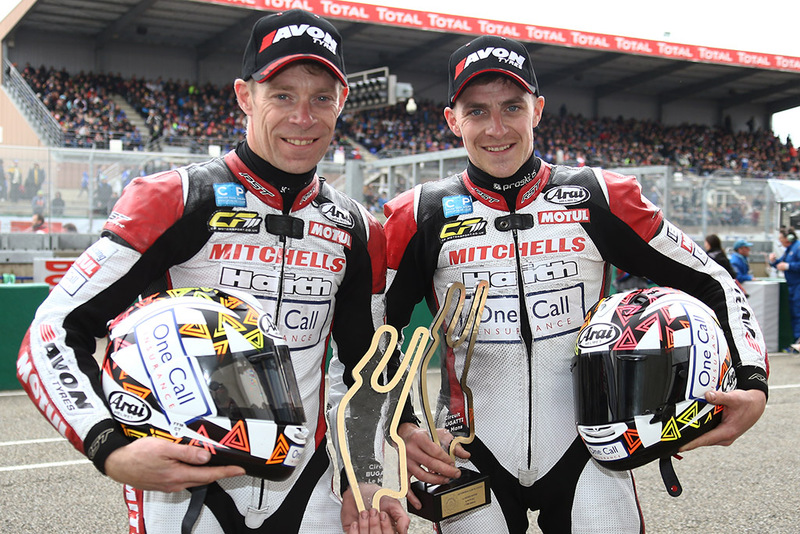 Team Birchall set the benchmark for the pace when they took a decisive win in the opening round of the FIM World Sidecar championship at Le Mans on Saturday. The new rules for the world championship meant that all Sidecar teams had to change from 1000cc to 600cc engines. Having switched to the smaller engine last year Ben and Tom Birchall secured the FIM F2 World Sidecar title, securing pole positions and lap records on their way to the title. The Mitchell’s of Mansfield supported riders have made the change to Yamaha this season and have taken part in some intensive pre-race testing in France prior to the race at Le Mans. The brothers dominated practice and qualifying and began the 18 lap race from pole position. But they didn’t get the hole shot as John Holden was the first to reach the chicane but Ben and Tom were hot on their heels and took the lead on the exit to the chicane to accelerate away extending their lead with every lap. The race came to an early end when another competitor crashed heavily with three laps to go and a result was declared at 15 laps distance with Ben and Tom recording the win well ahead of Paivarinta/Kainulainer (2nd) and Streuer/Raisseau (3rd). The Mansfield pair also set a new lap record with a 1m 44.685s lap – 143.9kmph set on lap nine.